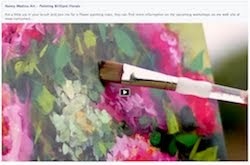 Romantic Dreamer Roses is the newest daily painting in Flower Mound Studio. 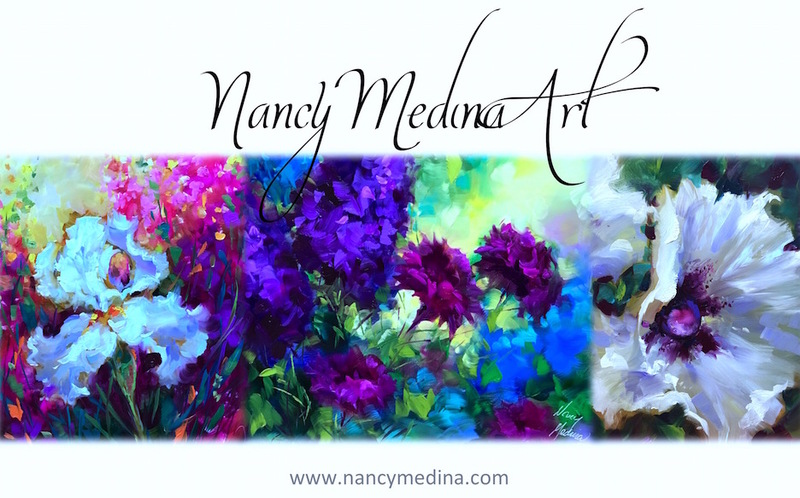 I used transparent color to lay in the brightest pinks, and then color notes in opaques around the edges to push the jewel tones forward. I love creating clear glass vases on dark backgrounds, and pulling those dark color paths through the glass behind the vase. 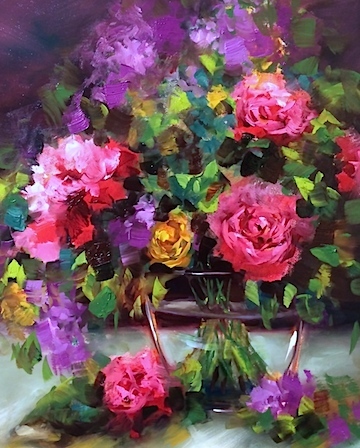 The last thing I paint is the clear glass vase, so I create the green stems beneath the roses as if the vase does not exist, then finish the vase in the last few steps of the painting.